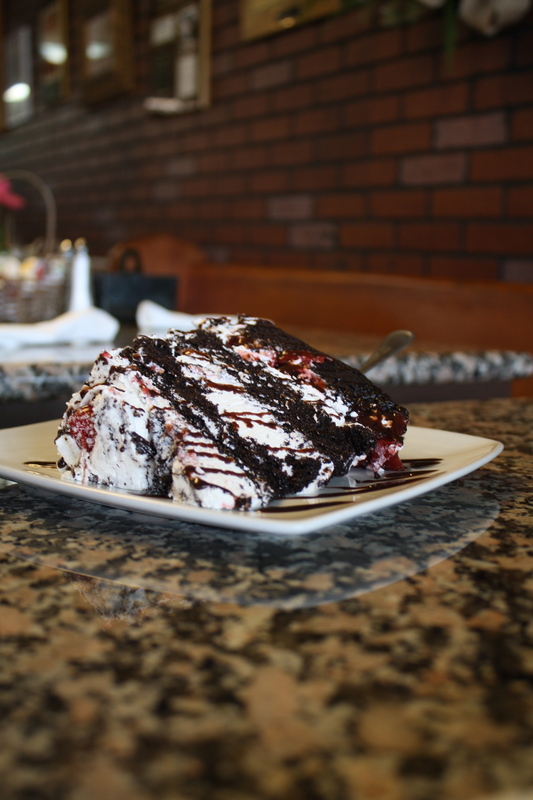 Klingler’s black forest torte is a long-time Birmingham favorite, and it’s not hard to see why. In a Vestavia Hills shopping center, tucked away behind an understated storefront, is a European-style Birmingham gem. Since 1982, family-owned Klingler’s European Bakery has dished up a variety of treats in a quirky, German folk-style atmosphere. Banana custard French toast and strawberry blintzes, as well as heartier fare like sauerkraut and sausages, are noteworthy menu items. There’s one treat, however, for which Klingler’s has earned much acclaim. Their black forest torte was named a “dish to eat before you die” by the Year of Alabama Food and ranked in Birmingham magazine’s Best of Birmingham. Exodus staff took on the task of putting these claims to the test, and we were not disappointed. 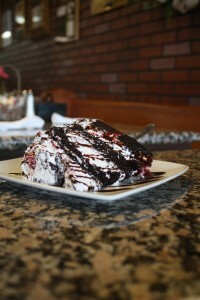 The moist chocolate cake, which sells for $5.50 per slice, is filled with whipped cream and cherries and topped with chocolate shavings. Don’t take our word for it, though – this is a dish you should try for yourself. Klingler’s is located at 621 Montgomery Highway in Vestavia Hills. They are open 7 a.m. to 4 p.m. Monday through Saturday and 8 a.m. to 3 p.m. Sunday. Find more information at www.klinglers.com.